2015 began with the sad news of the passing of Terence Ranger (85) – one of the most reputed scholars of Zimbabwean and African history. Ranger’s is perhaps best-known for the volume on “The Invention of Tradition” (1983) which he co-edited with Eric Hobsbawn (another towering figure in academia). Ranger’s essay in the book: “The Invention of tradition in colonial Africa” generated and intense academic debate – and Ranger himself revisited these arguments a decade later. Ranger began his career as lecturer of Medieval and Modern History in the University College of Rhodesia (now Zimbabwe) and Nyasaland (now Malawi) in 1957. 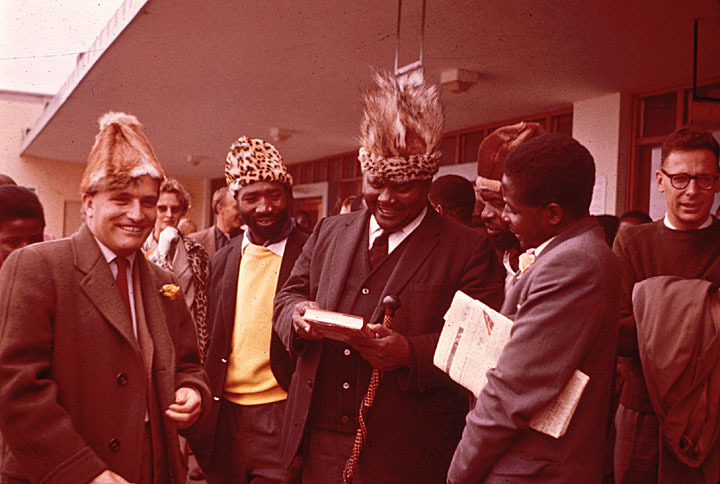 In 1962, following the country’s unilateral declaration of independence, Ranger was deported from Rhodesia and he established himself in newly independent Tanzania, where he directed the University of Dar es Salaam’s History Department. There he assembled a stellar academic line-up that included John Iliffe and Walter Rodney. In many ways, the origins of the modern African history scolarship can be traced back to those ‘Dar es Salaam school’ days and to Terence Ranger. One of the many things for which he will be remembered. PS You can read a very extensive and extremely interesting inverview with Ranger done by Diana Jeater in 2009 here. So, yeah, that was a long one! Blogging is usually rather irregular (unless you are very disciplined, or do it for a living), but a pause of 2 years and 5 months is something pretty big for any blog. And it deserves a bit of an explanation. In fact, I am sure that most of the people reading this (if there is any) actually thought this was a dead blog. Another one for the virtual cemeteries. But no. Not yet in any case. The reasons for such a long pause are many (some good, others not so). The fact is that life has changed quite a bit for me in the intervening period. Since July 2012, when I last posted here, a great deal has happened: I got married to M (the love of my life, with whom I have been together for over ten years now); I changed jobs and moved countries as a result (I stopped working for FRIDE in Madrid after getting a job in the European Parliament and moved to Brussels); I traveled to some African countries (many of them for the first time): Mali, Ethiopia, Madagascar, Mauritius, Mozambique, South Africa; we adopted a dog (Max, a lovely Jack Russell); went to back to Waterford in Swaziland where it all (my interest in Africa, my relationship with M) started ten years ago. And plenty more, as you can imagine! All these changes – especially the professional ones – meant that I did not know whether, or how, to continue blogging. So I stopped. Yet, I kept thinking that I would re-start at some point, so I did not delete the site. And it seems that now I am ready to retake On Africa (I hope this is not an ill-fated New Year’s resolution!). Nonetheless, the changes of the past two and a half years, will undoubtedly be reflected in On Africa. I will also slowly tweak things here and there (starting with this new layout) to fine-tune the blog visually and adapt it to this new period. So, what to expect from On Africa now? Well, the truth is that I am not really sure, although I have some ideas. For starters, more frequent updates and posts! Also, the blog will continue to look at issues arising from or related to some or all of the countries in Africa. Nonetheless, the blog may have a less political focus (I do this this during my day job, so it is good to keep things separate – this blog reflects purely personal views). Instead, I would like to include more cultural notes; some general reflections on society, technology, economy, etc in Africa, and (hopefully!) a lot more posts on ideas and debates that are emerging and important for the future of Africa and beyond. Because I am now even more convinced that Africa will be able to provide answers not only to the challenges facing its own societies, but also to many important global questions. So, we better start paying careful attention! On Africa hopes to become my humble contribution to this. España debería estar en primera línea de unas políticas europeas globales que respalden las reformas en los países del Norte de África. Debería adoptar una estrategia a largo plazo –aunque ello implique ciertas pérdidas inmediatas-, que identifique los intereses mutuos y fomente la interdependencia entre los socios euromediterráneos. La publicación puede descargarse en español y en inglés desde la web de FRIDE, pinchando aquí. Además, para aquellxs interesadxs, Cristina Casabón de la oficina en Madrid del think-tank ECFR, ha colgado un podcast en el que contesto a unas preguntas sobre el tema, y que está disponible en el blog de ECFR y también pinchando aquí. 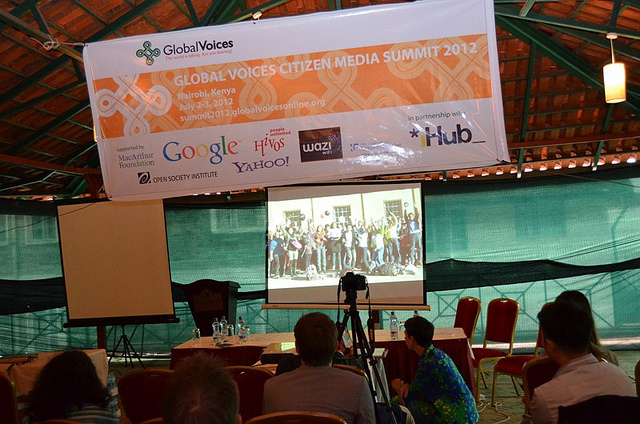 300 bloggers, activists and technologists participating in the Global Voices Summit 2012 in Nairobi, Kenya have just been seated for a two-day meeting of public discussions and workshops about the rise of online citizen media movements worldwide. Among the highlights in today’s program is the opening panel on the Global Rise of Citizen Media led by Global Voices co-founder Ethan Zuckerman. We will also be introducing Kenya citizen media, discussing the rise of #Occupy movements around the world, and exploring the influence of diaspora populations on citizen media and national public debates. My people of great Egypt, who today celebrate democracy in our country; those of you standing in the public squares, in Tahrir Square, and all the public squares of Egypt; my dear people, big family, brothers and sons, you who are awaiting the future, who want security and safety, goodness and revival, and development and stability for our country, I turn to you praising God for having brought about this historic moment. Rwandan involvement in the recent fighting, which is still confined to a tiny patch of land of about twenty square kilometers, has fueled much debate in recent weeks. Most foreign diplomats in Kinshasa – as well as some in Kigali I have spoken with – privately agree with the conclusions of Human Rights Watch, that Rwanda is helping M23 recruit soldiers, and is possibly also supplying the rebels with food, weapons and free passage through their territory.